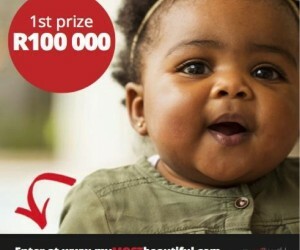 South Africa’s largest baby photo contest, www.myMOSTbeautiful.com, kicks off 1 May, 2017 with free open registration. Encouraging all of SA’s most lovable and adorable babies to enter, the third annual 8 week campaign is offering a chance of a lifetime for babies between 0 and 36 months. 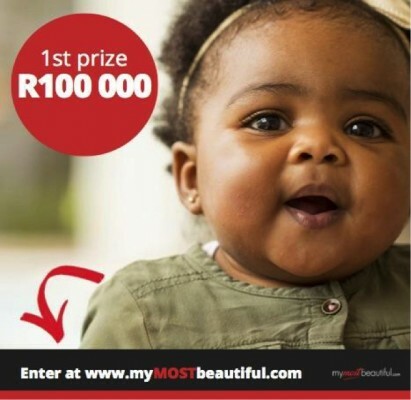 Last year thousands of babies from Cape Town to Limpopo and everywhere in between shared their cutest smiles with magnitude of voters and visitors to the www.myMOSTbeautiful.com site, entering to win the coveted title and top R100,000 prize. With celebrity judges, top modeling agencies on hand, prizes for voters and participants, and the feel good element of raising funds for local charities, myMOSTbeautiful.com continues to lead the way in discovering South Africa’s brightest faces. This year’s top 10 finalists are in the running to win cash prizes totaling R151,000 and the winner - a coveted photo shoot and 6th months’ representation with premier kid modelling agencies; ICE KIDS and Rage Model Management (modelling contract is area dependent). Voters will be pleased to know that just by voting for their favourite loved one, they are eligible to win one of 10 x R1000 cash voter prizes and many hampers to the combined value of more than R30 000. Supported by sister company and NPO, mMb Gives, www.myMOSTbeautiful.com connects the contest with select charities, represented across the country. Over R200,000 has been donated in the last 2 years, with R100 000 to Mater Domini and R30,000 to Eniwe Children’s Fund during 2016. However this year, a record breaking 25 charities will be afforded donations on behalf of generous voters everywhere. With causes that range from building homes, to supplying much needed baby supplies the carefully selected charities like Feed the Babies Fund in KZN, Ubomi OButsha Centre in the Eastern Cape and Shiloh Talia Eaton Foundation in Gauteng, will benefit along with many others. This year’s celebrity judging panel features six of SA’s top talents including TV and Radio Presenter - Kia Johnson, Media Personality and Wellness Expert - Lisa Raleigh, Actor and Comedian - Siv Ngesi, Ex Pro Footballer, Entrepreneur and Model - Ryan Botha, Director at ICE Genetics, ICE Artistes and ICE Kids - Donné le Grange and Mrs South Africa 2010, Business Woman, Model - Laurette Batstone. Big brands have also come out in support as sponsors of the competition this year; King Price Insurance (primary sponsor) alongside Oh So Heavenly, PUR, Tea4Kids rooibos, Cherubs, Janine Binneman Jewellery, Artistick, GLAD, Skin Sano, Beaucience Baby and more. May 1 - Register: The sooner you register the more time you have to tell people to vote for your baby! Signing up is free and easy at myMOSTbeautiful.com. June 12 - Registration closes: Before June 12 get the word out and share your page with everyone you know: friends, family, colleagues, Gogo’s and Oupa’s. Remember the more votes, the better the chance you have to win! June 19 - See if you’ve made it to the top 50! June 26 - From June 19 - June 26 VOTE for the top 10 finalists and the winning baby. June 27 - WINNERS ANNOUNCED!